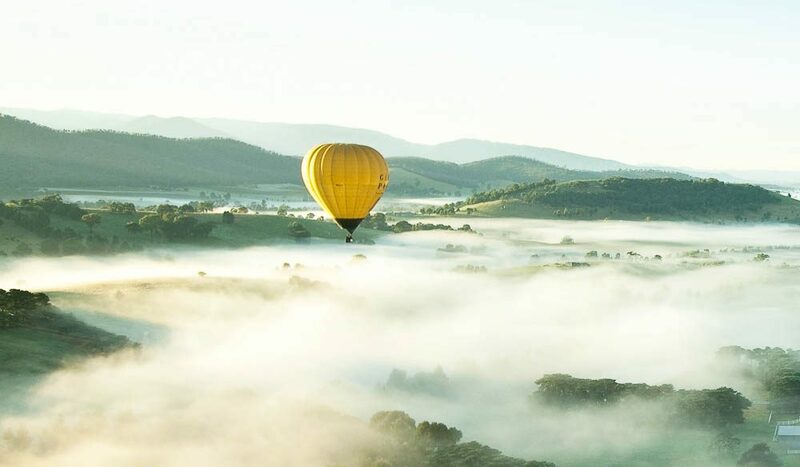 This view is from a hot-air balloon above Dixons Creek, looking towards Yarra Glen. De Bortoli Winery can be seen on the right. The balloons land as close to Rochford Wines as possible, so guests can enjoy a sparkling-wine breakfast.